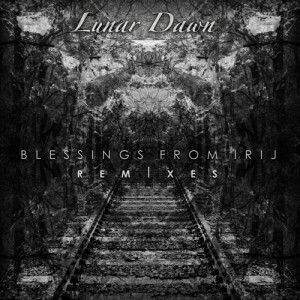 Neogoa is pleased to present the final release for 2013: a remixes collection for Lunar Dawn‘s Blessings From Irij single, previously available only via Bandcamp. This release is made to explore the different styles and moods of Goa trance genre through a single track remixed by some of the finest Neogoa artists. With this release, Lunar Dawn duo is announcing their debut full length album on Neogoa in 2014! Mastering by Igor Čeranić (Deimos) at Deimos Soundlabs, with artwork by Ivan Parić (Richpa) at Neogoa Design. Thanks to all involved, we all hope you trance addicts like it! Its Amazing! Great Job my friends! Awesome…love it!! Can’t wait to see what 2014 has in store for all of neogoa! :) :) Thanks – your hard work is appreciated! None of them top the original but Perfect Blind and Screw Loose have solid versions. Very good release! Actually, 07 is epic too. As far as I hear, this is the best album I’ve found here!